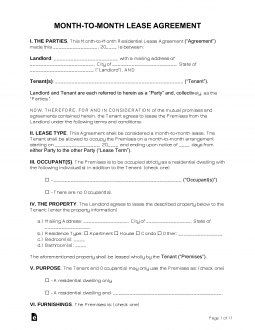 A month to month lease agreement, or ‘tenancy at will, is a residential contract between a landlord and tenant that remains valid until canceled by either party in accordance with the agreement or the State requirement, whichever is longer. All other aspects of the landlord-tenancy relationship remain the same which is why the “month-to-month arrangement” is typically a simple clause added to a standard agreement. 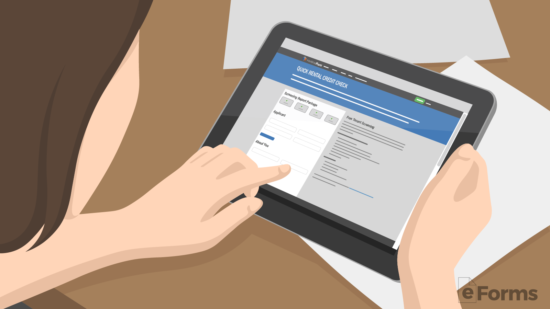 Rental Application – Use to verify a tenant’s creditworthiness prior to authorizing a rental agreement. On the surface, it may seem that there is less liability for a landlord in a tenancy-at-will. Unfortunately, this is NOT the case. If the tenant defaults on their lease the landlord will have to pursue the same eviction process as a standard lease. Therefore, the same care and process should be involved when evaluating a tenant. 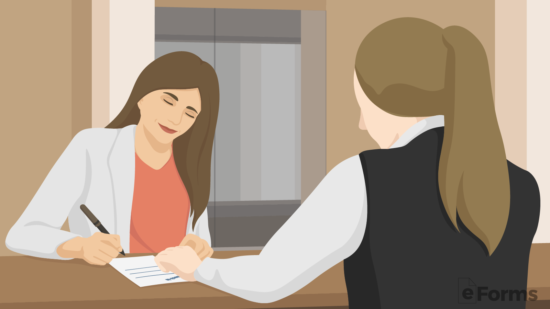 Upon the individual showing enough interest in the property that they would like to discuss renting the property, the landlord should first conduct a background check through a rental application. This will allow the landlord to process and view the individual’s credit report, criminal background, and verify with certain references to the character of the potential tenant. To test the level of interest in the property, it is common for landlords to charge anywhere from $25 to $75 per applicant. 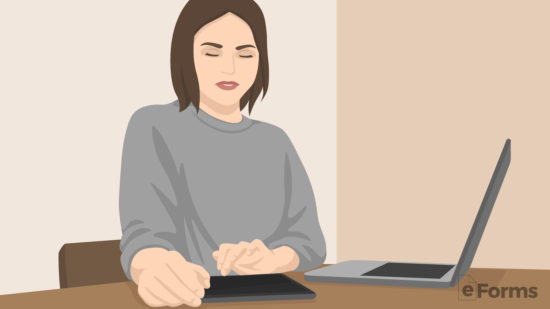 Employment (Income) Verification – If the applicant has the income to support the rent, but has bad credit, the landlord can verify their employment status by verifying through their employer. At this time the landlord will be aware of the creditworthiness of the tenant. 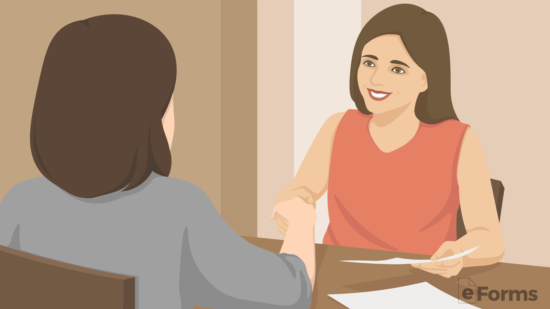 In most situations, if the tenant has a high paying job and credit, they will be in a better negotiating position as they are more inclined to pay rent on-time. For tenants with bad credit, the landlord may not be so keen to negotiate as they come with a higher level of risk. It is recommended that the landlord always seek at least the equivalent of one (1) month’s rent upon tenancy. At the end of the period, there will most likely be some damage to the property, and when returning the money, the landlord may deduct from the amount. For higher risk tenants, the landlord should seek the equivalent of two (2) months’ rent or the State Maximum Limit in the chance the landlord has to evict the individual. This amount will at least carry the landlord through until the eviction is complete. Both parties must agree to the cancellation period, usually thirty (30) days, although a minimum period is mandated by most States (see below). Upon the completion of all negotiations, the landlord and tenant should draft a lease. It is recommended to use one of the State Specific Leases on this site as it will have the necessary clauses and disclosures needed for the property’s area. After the lease has been created the tenant should give is a careful read-through to ensure that all the negotiated items (e.g., monthly rent, security deposit, parking fees, pets, etc.) are written exactly as they were discussed. It is the responsibility of the landlord to ensure that the tenant has all State and federally required disclosure forms. These are either required statements or addendums to be included in the lease. Lead-Based Paint Disclosure – Required under federal law to be issued to all tenants entering into a lease when the property was built before 1978. Move-in Checklist – Mandated in most States to settle Security Deposit issues after the tenancy has ended. Both parties are required to conduct an inspection before and after tenancy to accurately detail any existing damage or repairs needed. After the landlord and tenant have agreed to the terms as written in the lease, the parties should agree to meet to sign. Rent Proration Amount – If they have decided to move-in before the first (1st) of the month. Provide Access – To the property, common areas, parking, mailbox, etc. The tenant may now accept occupancy to the property. If the tenant signed the lease and cannot move-in until the first (1st) of the month then they will have to wait unless they decided to pro-rate the rent to move-in earlier. The tenant will not be subject to all of the terms and conditions of the lease until either party submits a notice to quit or vacate thus terminating the rental agreement. To cancel a month to month lease, the landlord will be required to send a lease termination letter in accordance with the time-period stated in the month-to-month lease or by the laws in the State, whichever is longer. Sending the Termination Letter – The landlord or tenant has the option to cancel and it is highly recommended that when the party quitting the lease sends notice to do so via Certified Mail with return receipt. This way the person receiving notice will have to authorize upon receipt and therefore signifying receipt of the letter. The following is an example of our free Month to Month Rental Agreement and it will guide you through filling out your form with step by step instructions. The first part of this lease is the easiest, all you need to do is enter your name (landlord), the name of the tenant, date entered and the address of the property. The “lease term” details how the lease shall be ruled. The landlord or the Tenant must notify the other party of non-renewal at least thirty (30) days prior to the next payment cycle. Both parties must notify the other prior to the last day of any month and to further strict that rule, enter the number of days each party must give written notice prior to the last day of the month. In our example, we chose to enter 7 days as that will give both parties 5 weeks to prepare in the event the lease terminates. Also, if the tenant does not provide 30 days notice to vacate, they shall lose their deposit (security), if any. The amount of rent per month should be entered in the first two spaces provided. First, spell out the amount and then enter it in numerically. On the next open line enter the address where the rent payment should be sent. In our example, the tenant’s rent costs $2,500 per month in New York City and it needs to be paid on the first of every month. A landlord may start charging late fees any day after the due date if the tenant fails to pay rent. In our example, the landlord will start charging late fees on the 2nd, the day after the due date which is one the 1st. Enter the last day the tenant is able to be late on rent until an eviction occurs. 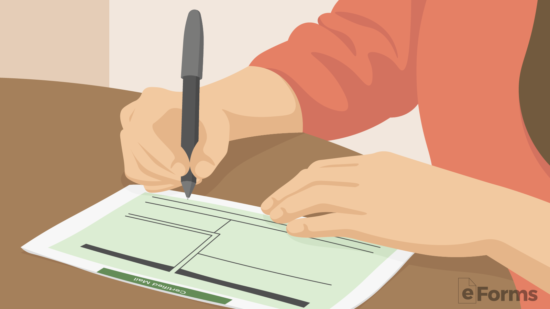 If payment is sent via a check and it bounces due to lack of funds in the tenant’s account, the landlord has the option to charge a fee for it. In our example, the landlord charges a $25 dollar fee. In most cases with any lease, a security deposit is used as collateral in the event the tenant causes damage or violates the lease. It is common to charge an amount equal to one month’s rent as the security deposit. In our example, the landlord is charging the tenant $2,500 which is equal to one month’s rent. The tenant is not allowed in any way to deduct any portion of the security deposit towards rent. A tenant defaulting, meaning to breach any clause stated within the lease, will cause the landlord to allow a certain time frame for the tenant to cure the problem. Enter the number of days your tenant will have in order to cure a default. The landlord may take several actions of their own, including to cure the default and billing the tenant afterward. A landlord has the right to clarify how many people are able to live and reside on the property. Normally you would not want anyone who is not on the lease living in the premises. Enter the maximum number of people able to occupy the property. As the landlord, you want to think hard about whether or not to allow your tenant to sublet the property, which allows the tenant to hand over the lease to another tenant. Even if you select “Shall”, the tenant will still need to obtain written consent if they desire to sublet the property in the future. Most of the time, landlords do not allow their tenants to sublet their property due to too many risks. Select which utilities and services that you are responsible for paying by checking all that apply. The tenant will be responsible to pay for all unchecked boxes. As our example takes place in NYC, landlords by law are responsible for providing heat, hot water, and water as they are checked appropriately. Tenants are only allowed to have pets at the landlord’s consent. If pets are allowed, you have the option to charge your tenant an additional security deposit just in case the pet causes damage to the property. If a pet isn’t properly trained, they can cause valuable damage therefore in our example we are requiring a deposit of $500. Landlords have the right to know if their property is being well cared for. A tenant’s absence for a long period of time could potentially threat the property’s health. You can define “absence” by entering the number of consecutive days the tenant can be away from the property before it becomes an issue of abandonment. Further, enter the number of days a tenant can abandon the property while at the same time be in default of unpaid rent – this number should be stricter allowing the tenant fewer days. A pretty simple step, simply enter the State in which the property resides. All landlord and tenant laws will be ruled under the state inscribed. In our example, the property is located in the state of New York. Typically when the lease is coming to an end, it’s important to be able to show the property to prospective tenants and to allow “For Rent” signs on or near the property in order to advertise the space. In our example, 30 days should give the landlord enough time to find a tenant. Any more than 30 days would be excessive and it could cause a nuisance to the current tenant, especially with people entering the property. Noise control is very important to keeping happy tenants. If you are renting out an apartment in a large building, all it takes is one loud tenant to cause a major disturbance. By signing this agreement, the tenant agrees to keep noise levels at a reasonable volume. Also not to disturb other tenants, enter the time frame that the tenant is able to move furniture in and out of the property. Generally, you do not the time to be too early nor too late in the day. Mark whether or not your tenant is allowed or has the ability to park within the vicinity of the property, and if so enter the number of vehicles they are allowed. This is a clause which is totally customizable and you may enter any rules as you see fit. In our example, the tenant may not use the parking space during the months of June, July, and August. 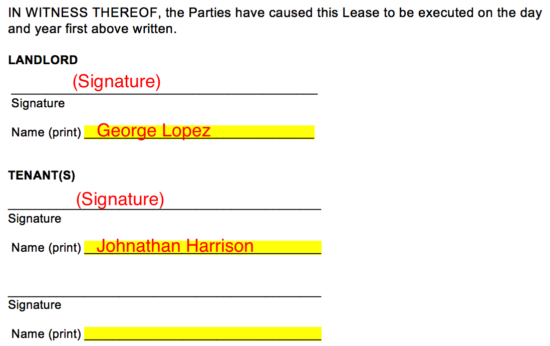 In order for the lease agreement to be valid, the landlord and tenant(s) must sign and print names. Once complete, a copy should be given to the tenant for their records and the original lease shall be kept on file with the landlord.